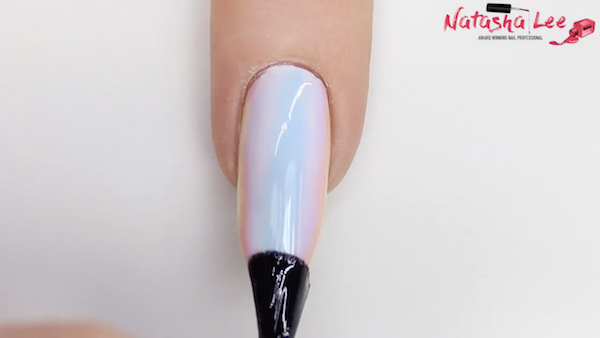 These nails were totally inspired by the infamous iridescent white stick on nails that were always popping up on nail groups on Facebook! 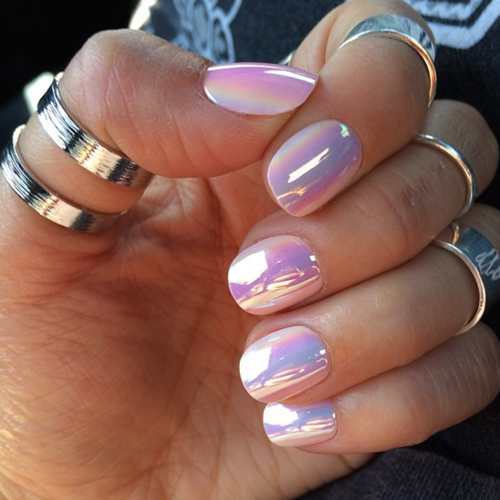 They continue to forever be the “Holy Grail” of nail art! After performing prep, apply a layer of white gel polish and cure. Using pastel shades, begin by applying a pale blue to the centre in a thick line using a striping brush (UK / US), do not cure. Apply pastel lilac either side of the blue, followed by pastel pink and pastel yellow. Do not cure the pastel colours yet. Using a clean dry striping brush (UK / US) , feather the colours together where they meet to create a soft pastel rainbow gradient, then cure. Apply a “No Cleanse” (UK / US) top coat and cure. 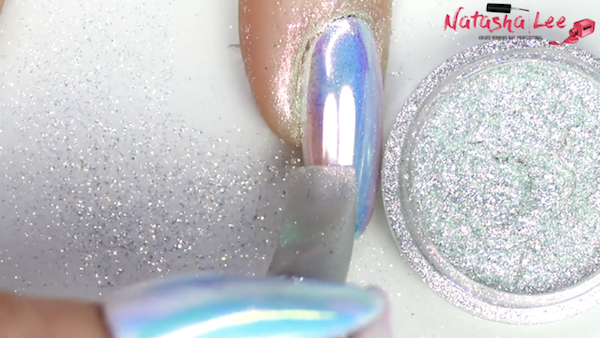 Using a flat edged silicone tool (UK / US) , firmly rub a unicorn dust/powder (UK/US) into the surface of the nail. 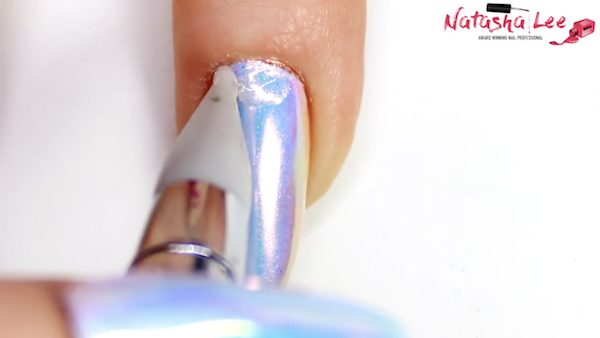 Continue until the whole nail is covered, not patchy & has a mirror shine. Apply a regular hard wearing top coat. You may want to apply 2 layers and cap the ends thoroughly to avoid chipping. Apply a clear builder or strengthening gel (UK / US) by the cuticle area, do not cure yet. Set chrome shells (UK / US), crystals (UK / US), pearls (UK / US) & iridescent caviar beads (UK / US) into the gel then cure and remove sticky layer. 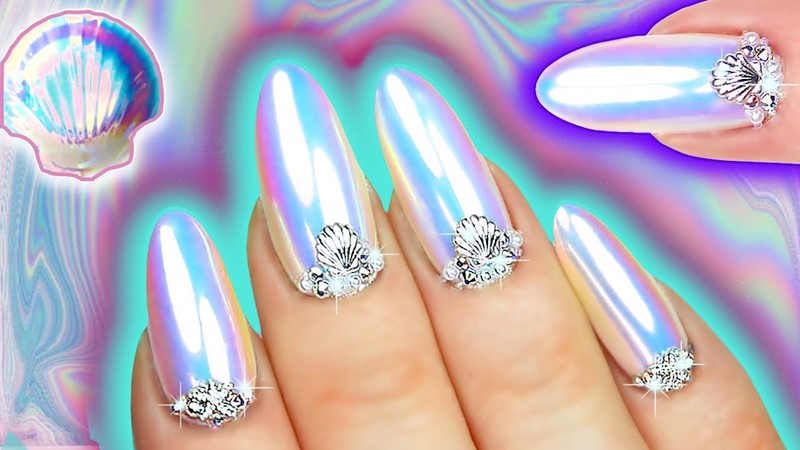 Here are your amazing finished Iridescent White Chrome Nails!! These are one of my all time favourite sets ever, they are just so beautiful and perfect for every occasion!! 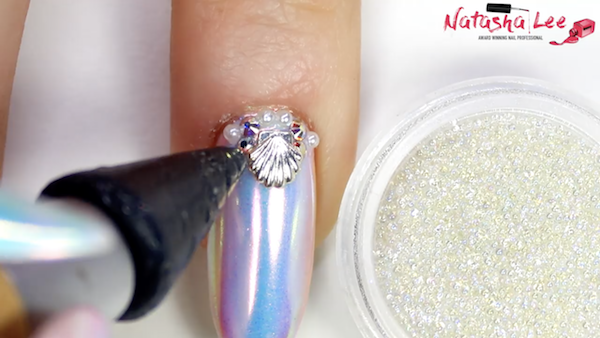 If you have a wedding or prom to attend then these stunning unicorn skin nails will go with every outfit!